Kesari Box Office Day 2: Akshay Kumar Spells Magic as Film Earns Rs 37.76 cr, First Weekend to Cross Rs 100 cr? Akshay Kumar starrer 'Kesari' is enjoying an extended first weekend. The film's collection so far is Rs 37.76 crore and seems like Rs 100 crore in opening weekend will be a cake walk. Actor Akshay Kumar starrer Kesari is performing tremendously at the Box Office. After garnering Rs 21.06 crore on its Day 1, the film has collected Rs 16.70 on its Day 2. The total earnings of the film at the domestic Box Office so far stand at Rs 37.76 crore. Saturday and Sunday are expected to contribute big numbers, even taking the film to cross the benchmark of Rs 100 crore. Kesari is enjoying an extended first-weekend release after it hit the theatres on Thursday, March 21. Therefore, it has got the advantage of one day in its collection. The film has already emerged as the highest Box Office opener of 2019. It is also Akshay’s widest release till date with a worldwide screen count of 4200. Kesari, directed by Anurag Singh, is also all set to surpass the opening weekend collection of Ranveer Singh-Alia Bhatt starrer Gully Boy and Ajay Devgn starrer Total Dhamaal. The Zoya Akhtar directorial collected Rs 72.45 crore in its extended first weekend while the Indra Kumar directorial raked in Rs 62.40 crore in first three days. Kesari, also starring Parineeti Chopra, created just the right buzz with its trailer itself. 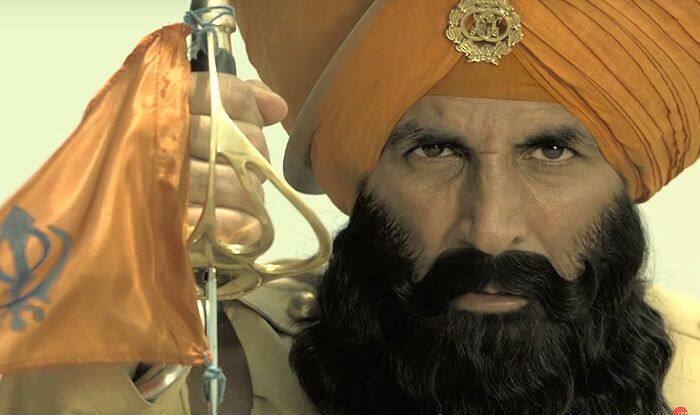 Akshay’s Sikh avatar and the real story of valour took social media by storm. The film’s team received a great response that has now got converted into terrific word-of-mouth. The film brings the epic Battle Of Saragarhi on celluloid. One of the most celebrated battles in the history of India, it was fought between 21 Sikh soldiers under British army and around 10,000 Afghan troopers. Fought in September 1897, it is considered as one of the greatest last-stands in world history.